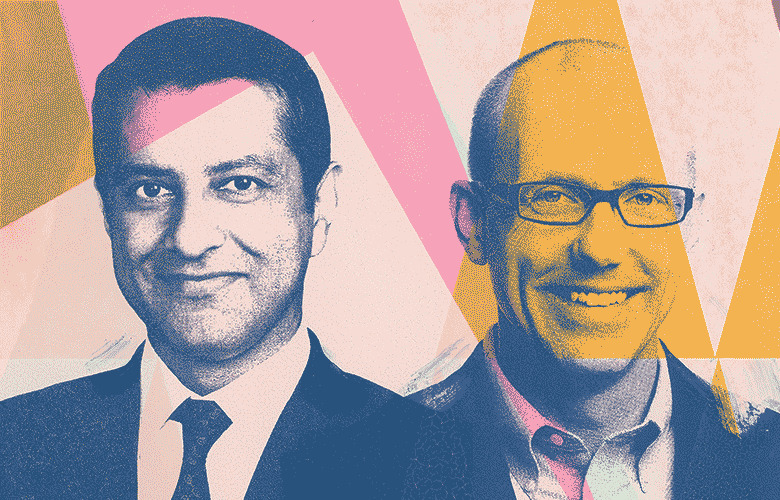 To get past the buzzwords, look no further than the trading business and the innovative leaders spotlighted in Institutional Investor’s annual Trading Technology 40. Virtually all are engaging to some extent with artificial intelligence — these days mainly in the form of machine learning — and are at least contemplating the potential of distributed-ledger technology, also known as blockchain. It’s only logical. Trading is at the heart of capital markets and investment processes. Transactions are driven by ever-growing amounts of data and the analytics used to harness and extract insights from that data. Analytical sophistication grows with computing capacity, which in turn rises to the level of artificial or machine intelligence. In the race for low-latency trading superiority, speed is now “a prerequisite,” says Raj Mahajan, global co-head of securities systematic solutions at Goldman Sachs Group. “AI and machine learning is the next phase of this evolution,” he says, as quantitative, predictive, statistical analysis is applied to execution decisions in milliseconds or microseconds. The Trading Technology 40 were selected by Institutional Investor editors, taking into account nominations and other input from industry experts. The leadership criteria include recent and career accomplishments including contributions to individual companies and to the industry at large, scope and complexity of executive responsibilities, and pure technological innovation. The ranking was compiled under the direction of Senior Contributing Editor Jeffrey Kutler. Individual profiles were written by Kutler, Allen T. Cheng, and Senior Writer Julie Segal. “Integrations are hard work — there are no shortcuts,” says Chris Isaacson. The executive vice president and chief information officer of Cboe Global Markets has been living that reality every day since the acquisition of his company, Bats Global Markets, by Chicago-based CBOE Holdings on February 28, 2017. The technology of Bats, which Isaacson founded with a team of computer scientists in 2005, was a major attraction in the $3.4 billion merger deal. The combined companies’ 14 markets will be running on a unified platform — a complex undertaking that Isaacson describes as “challenging and rewarding.” Still on tap for 2018: a new index platform; a second Cboe exchange migration; the transition of S&P 500 Index Options (SPX) to the hybrid trading model; and an upgrade of floor-terminal technology. Isaacson, 39, was well prepared for these post-merger projects. After the Bats alternative trading system upgraded to full exchange status in 2008, the company stoked its growth through acquisitions including exchange operators Chi-X Europe in 2011 and Direct Edge in 2013. In the foreign exchange market, Bats bought Hotspot FX from KCG Holdings in early 2015. Each of these mergers gave Isaacson an opportunity to flex his tech-integration muscles. Bats grew to become the second-biggest U.S. exchange company and No. 1 in European equities — positions that Cboe Global Markets now claims in addition to its No. 1 share of U.S. options. 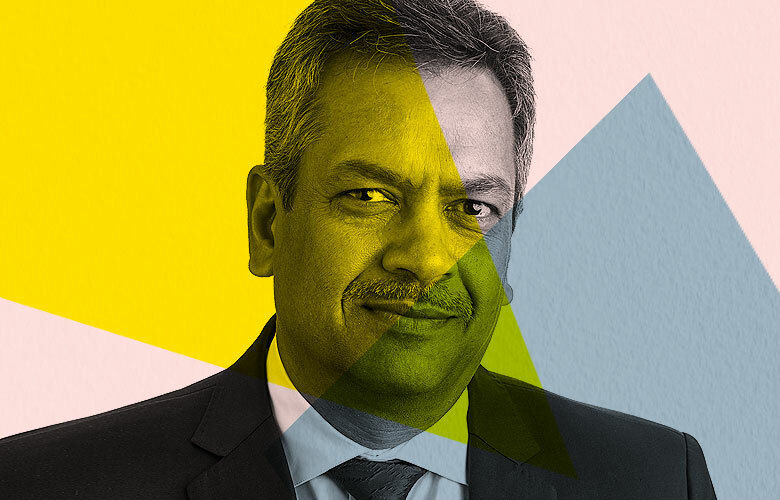 Mahajan, 45, was promoted last year to global co-head of securities systematic solutions, while retaining responsibility for equities electronic execution services. He now looks across the entire securities division — including fixed income, currencies, and commodities (FICC) and derivatives. Securities systematic solutions encompasses “all client-related execution activity occurring systematically — products, relationships, analytics,” explains Mahajan, who was a Goldman Sachs commodities analyst before co-founding Kiodex, a commodities trading technology company, in 2000 along with R. Martin (Marty) Chavez, now Goldman’s chief financial officer. Mahajan moved to SunGard Data Systems when it acquired Kiodex, in 2004, and became SunGard’s president of global trading. He was CEO of Chicago-based high-frequency trading firm Allston Trading from September 2012 until he returned to Goldman as a partner early in 2015. Amid what Goldman’s earnings report for 2017 called “a challenging environment characterized by low levels of volatility and low client activity,” net revenue from FICC client execution fell 30 percent from 2016, to $5.3 billion. Equities client execution was off 7 percent, at $2.05 billion (out of total equities revenue of $6.6 billion, down 4 percent). Yet Mahajan says key metrics such as relative execution quality versus competitors and market share show consistent quarter-over-quarter improvement. In a big win, the Bloomberg Tradebook agency brokerage decided in November to rely exclusively on Goldman for equities execution services. Nasdaq CEO Adena Friedman has been making statements about a “pivot” toward the company’s market technology and information services businesses. “Nasdaq is a technology company,” explains Bradley Peterson, the exchange operator’s executive vice president and chief information officer. The emphasis on technology and data — including machine-learning-driven insights — is hardly out of character for Nasdaq, which boasts that it created the first electronic stock market. But now the commitment is explicit. Nasdaq’s $300-million-in-revenue market technology segment supplies systems to more than 90 marketplaces in 50 countries and has a string of development centers around the globe. Goldman Sachs Group’s 2016 decision to outsource dark pool operations to Nasdaq is “a great endorsement,” Peterson says, and another “tier 1 client” is signed up. “The core technology that we have been honing for years,” Peterson says, combined with cloud computing’s “flexibility to scale up or scale down,” is, in essence, the Nasdaq Financial Framework, the “next-generation architecture” for market technology. Blockchain, or the ability to migrate to it, is built into the framework, and Nasdaq remains active in pursuing distributed-ledger initiatives with, among others, San Francisco–based Chain, a strategic partner and one that Nasdaq has invested in. Among the financial information services businesses taken on by IHS in its 2016 merger with Markit were MarkitSERV and loan solutions. 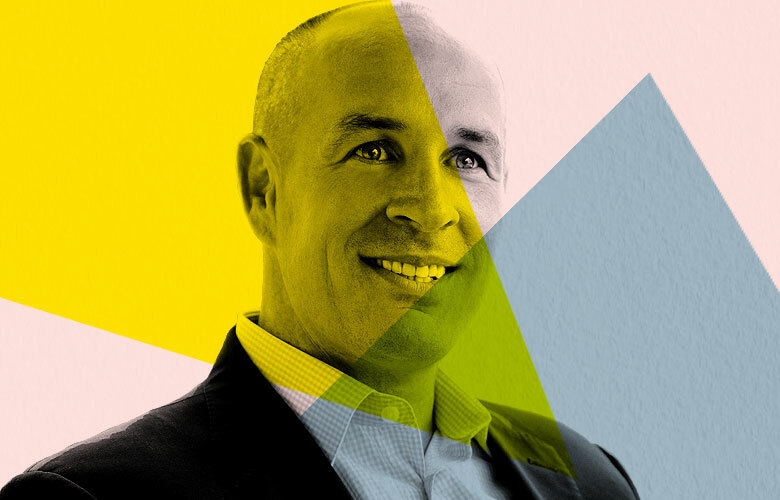 As CEO of MarkitSERV, a leading processor of over-the-counter derivatives transactions, and global head of the firm’s leveraged and syndicated loan market services, Brad Levy oversees about 1,000 of IHS Markit’s global total of 14,000 employees. Data aggregation and insight are what London-headquartered IHS Markit, a $3.6-billion-revenue business-information colossus, is all about. 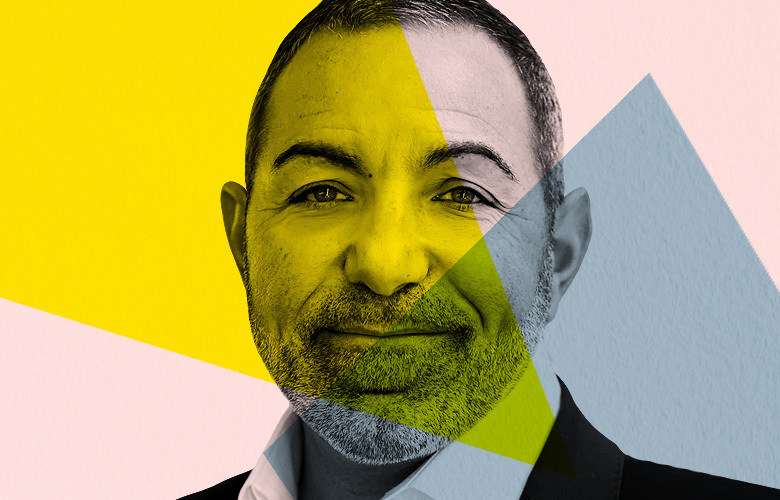 Levy says his activities provide a unique view into capital markets, debt levels, and risk taking — and that’s just his day job. 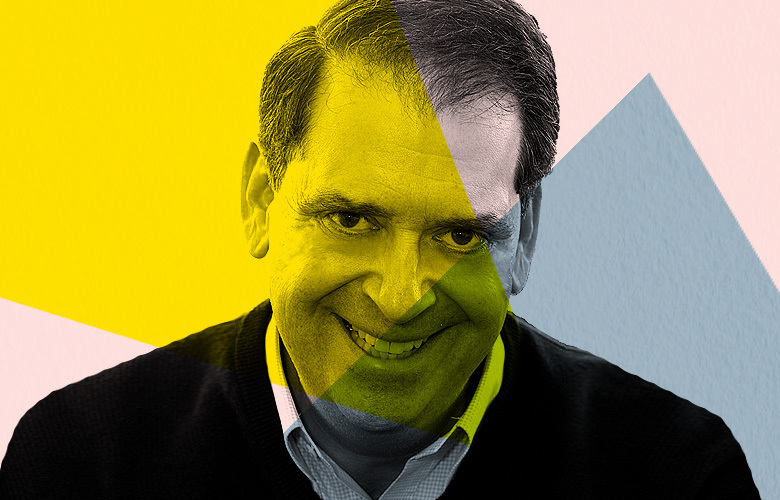 The 47-year-old continues to spearhead, as he did at Markit before the merger, explorations of blockchain, machine learning, and all things leading edge. Levy, who joined Markit in 2012 after 17 years with Goldman Sachs Group, describes himself as “immersed” in the distributed-ledger technology, or blockchain, that underlies cryptocurrencies. He has long dismissed the skeptical view that blockchain is a solution looking for a problem; his company has been engaged in proofs of concept for more than three years. Not all of those efforts are in public view, but IHS Markit is working on a syndicated loans initiative, Stax, and has been part of distributed-ledger working groups with major banks and other market participants for processing credit default swaps and equity swaps. In January, IHS Markit and its know-your-customer compliance service kyc.com entered into an alliance with Cambridge Blockchain, a developer of a distributed digital identity system that can streamline and lower the costs of customer onboarding and other KYC operations. 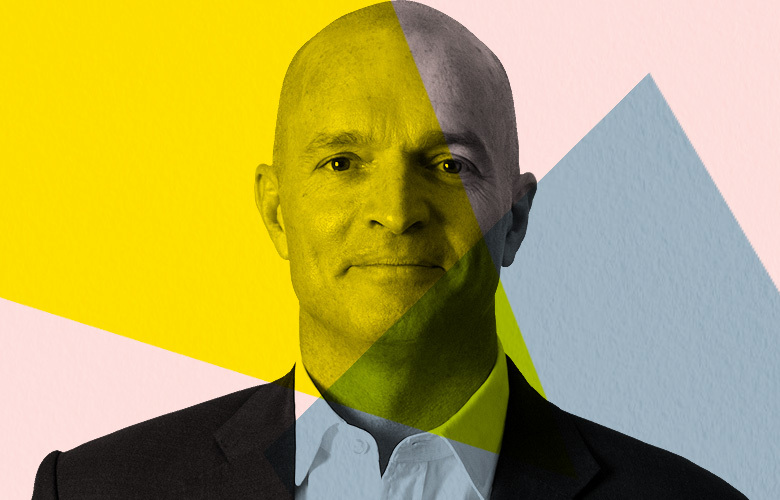 A veteran trading executive and technology innovator who has served as Citigroup’s co-head of global equities since 2016, Dan Keegan has kept the New York–based bank in a hunt some of its international rivals retreated from after the 2008 financial crisis. Two Citi legacies work in his favor: a global footprint and a history of technological innovation. Accustomed though he may be to profit and capital constraints and the challenges and opportunities in technology and automation, Keegan says he is observing a “fundamental transformation in trade execution and market structure.” Much of it is attributable to the growth of quant-style funds that he says account for 30 percent of the market’s volume, up from 17.5 percent three years ago. A key piece of the puzzle for Keegan is centralization of liquidity. “Making it 100 percent electronically available will separate market-share winners from losers,” he says. 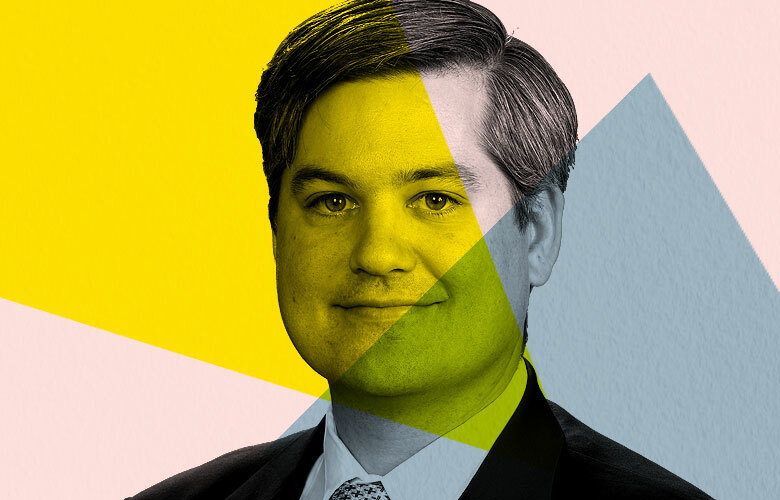 This mindset led Citi to introduce a new alternative trading system that provides access to all high-touch, program trading, and central risk liquidity via actionable indications of interest, Keegan says. To keep up with the buy side’s increasing sophistication, he tripled the size of the advisory team that helps clients with execution strategy selection. Before the business of big data — before the Consolidated Audit Trail, now under construction, which will aggregate every U.S. stock and options trade into a database for regulatory oversight — there was the proverbial fire hose known as the Options Price Reporting Authority (OPRA) feed, which recorded every trade and price change. Mayur Kapani knew it well. He was vice president of options development at the Philadelphia Stock Exchange (now Nasdaq PHLX), before moving in 2006 to Intercontinental Exchange. Elevated in 2016 from senior vice president of trading technology to chief technology officer, Kapani today oversees IT across ICE’s 12 exchanges (including the New York Stock Exchange), six clearinghouses (such as ICE Clear Europe and ICE Clear US), more than 12,000 listed contracts and securities, and nine asset classes. And the data is big: ICE has a growing, $2.1-billion-in-revenue data services business that includes market feeds from more than 450 trading venues, best-execution and liquidity analytics, pricing on more than 2.7 million fixed-income securities, and reference data on more than 10 million instruments. “We started on this journey with the  acquisition of Interactive Data Corp.,” Kapani says. ICE is in a strategically strong position in terms of breadth and quantity of information, along with technology to distribute it. “Some analytics would require a large amount of [customer] resources,” the 49-year-old explains. “They can get it from us as a feed — the analytics added to our feed.” Application programming interfaces (APIs), cloud computing, and artificial intelligence are all in the toolbox. 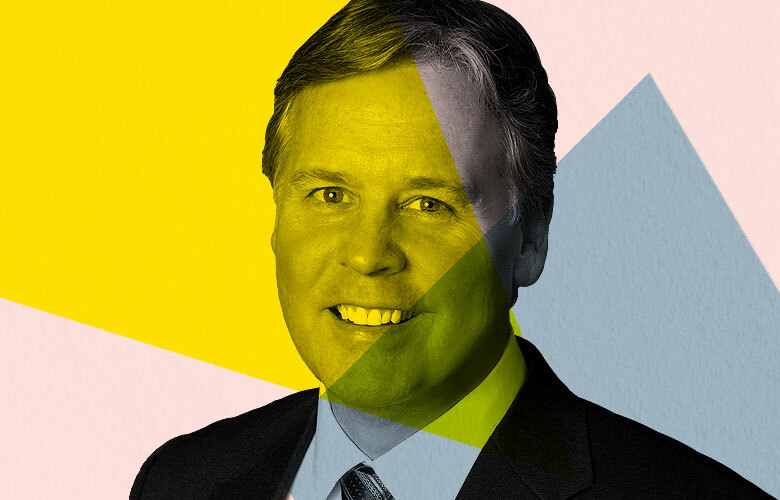 Neither daytime opening hours nor physical locations limit the scope of CME Group, because “technology is the centerpiece of our existence,” president Bryan Durkin asserts. Cities may still be in the brand names of the Chicago Mercantile Exchange and Chicago Board of Trade (CME also owns the New York–rooted Nymex and Comex), but “a deep, robust infrastructure” makes the markets accessible around the clock and underpins international growth ambitions, adds Durkin, who has worked for CME and CBOT for more than 30 years and was chief operating officer of CBOT before the companies merged in 2007. Thirty percent of total volume and 25 percent of revenue come from outside the U.S. as CME continues to build on Globex, the global electronic trading platform that was launched in 1992 and currently accounts for nearly 90 percent of trading. Durkin recalls arriving at the office during the February spike in financial market activity to find that a volume of 11 million contracts had mounted up before U.S. trading hours. For the $3.6-billion-in-revenue derivatives exchange complex, which in January had average daily volume of 19 million contracts — the second-busiest month on record — “that’s unheard of,” says Durkin. An example of its recent technology innovation is CME One, a version of the CME Direct front-end interface with mobile, instant messaging, and risk management features. As of early February, 1,782 users in 73 countries had adopted it and traded 124,190 contracts. Another 2017 product rollout, the Market by Order data feed, shows order positions with full depth of book while maintaining customer anonymity. The introduction of a Bitcoin futures contract on December 18 was preceded by “extensive outreach and consultations with potential market participants,” Durkin says. 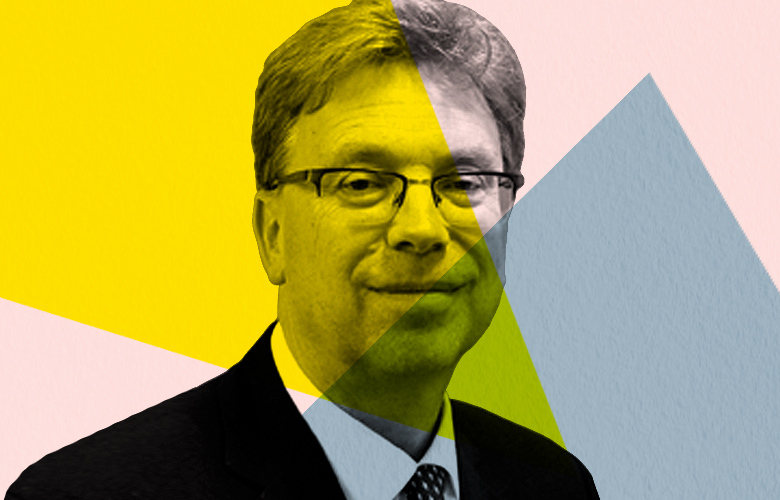 Searching out liquidity and transacting at the best price are challenges for any institution in the financial markets, but $6.3 trillion investment management giant BlackRock is a special case. Under the leadership of Richard Prager, head of trading, liquidity, and investments platform (No. 1 last year), and head of global trading Supurna VedBrat, arguably no firm has been more influential in flagging and addressing market-structure shortcomings, notably the post-crisis decline in sell-side liquidity in bond markets. With bachelor’s degrees from Delhi University in mathematics and Rutgers University in computer science, VedBrat started her career as an IBM software engineer. 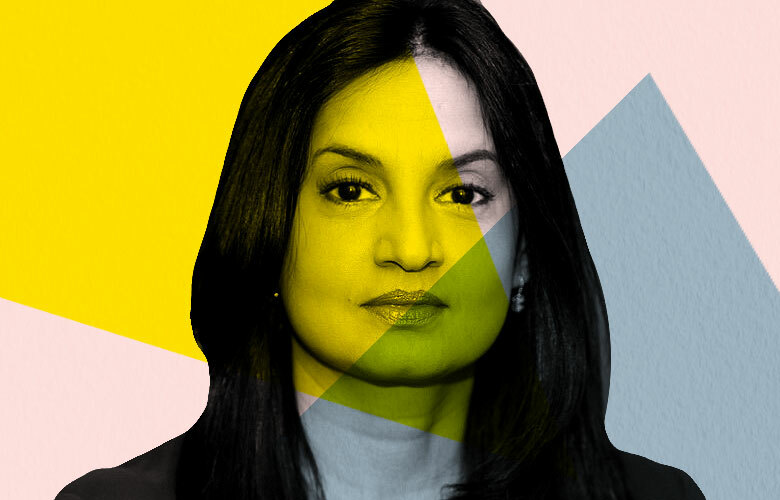 She worked at Lehman Brothers in New York and ING Barings in London before a five-year stint with Bank of America, ending in 2009, where she was chief operating officer of commodities and a strategist in distressed trading. Although not all fixed-income markets will evolve in the highly liquid and automated way equities did, “at least slices of most asset classes will look more like equities,” Philip Cenatiempo predicts. 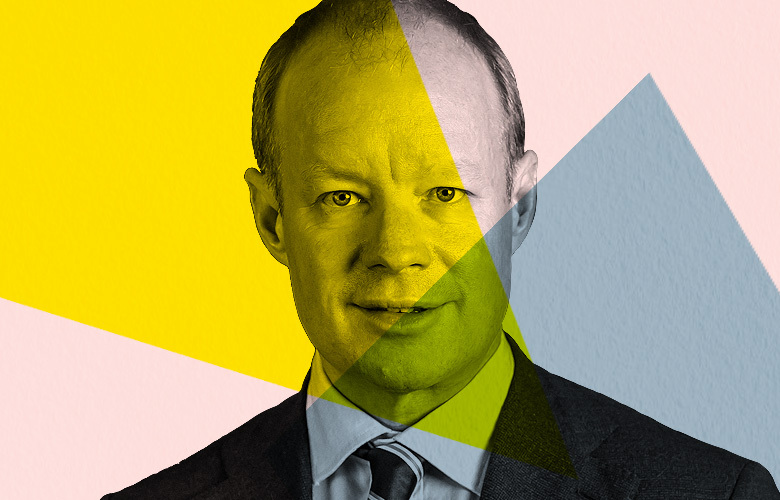 Looking over virtually all asset classes and modes of trading, Bloomberg’s head of global markets is ready for any directions these markets take, at whatever pace they move. But market-structure changes seem to be accelerating across the board. Investments in trading and technology innovation are being made “on a cross-asset basis, not just for equities, but across the entire trading complex,” the 51-year-old says. Even as a majority of fixed-income trading continues to take place via voice brokering — and there will always be a need for human involvement in what Cenatiempo calls “the esoteric and bespoke side of things” — advanced technologies come into play. He mentions, for example, the use of voice-to-text and natural language processing, a form of artificial intelligence that Bloomberg has been working on for years, to assist clients’ surveillance, compliance, record-keeping, and analytics. The last is increasingly in demand across the trading and investing landscape. Cenatiempo cites transaction cost analysis as an example of the analytical tools that are spreading from equities into other products, both for client-service purposes and to meet regulation-driven best practice standards. Adapting to the European Union’s Markets in Financial Instruments Directive (MiFID) was essential to capitalize on its opportunities, says Cenatiempo, who joined Bloomberg in January 2014 after almost ten years with Goldman Sachs’ principal strategic investments group. In January, Bloomberg launched BMTF, a MiFID II–compliant multilateral trading facility for equities, fixed income, and foreign exchange. Before becoming head of markets in November 2016, Cenatiempo was global head of core product market structure strategy and played a lead role in Bloomberg’s August 2016 acquisition of Barclays Risk Analytics and Index Solutions. In June 2017, Bloomberg said it executed the first standardized total return swap on the Bloomberg Barclays Indices — displaying a “high level of efficiency in the workflow,” Cenatiempo said at the time. “Everything we do at Citadel Securities is related to technology,” says chief technology officer Bin Mu. 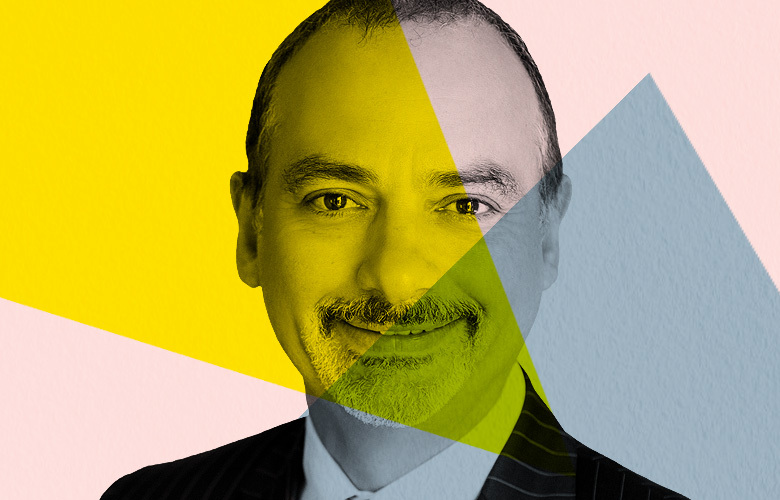 He and chief information officer Nawaf Bitar bring extensive and complementary backgrounds to their teamwork at the Chicago-based company, which operates in more than 35 countries, is the No. 1 designated market maker on the New York Stock Exchange, and handles some 39 percent of U.S. retail equities volume and 20 percent of U.S.-listed equity options volume. Mu became head of technology for options market making when hedge fund firm Citadel established Citadel Securities as a separate entity in 2002. Within 18 months of that launch, the enterprise was No. 1 in electronic options market making. “Technology is our means of doing business,” says Mu, who had been with Citadel since 1995 and previously was a business systems analyst at First National Bank of Chicago and a developer for Reuters Financial Software. 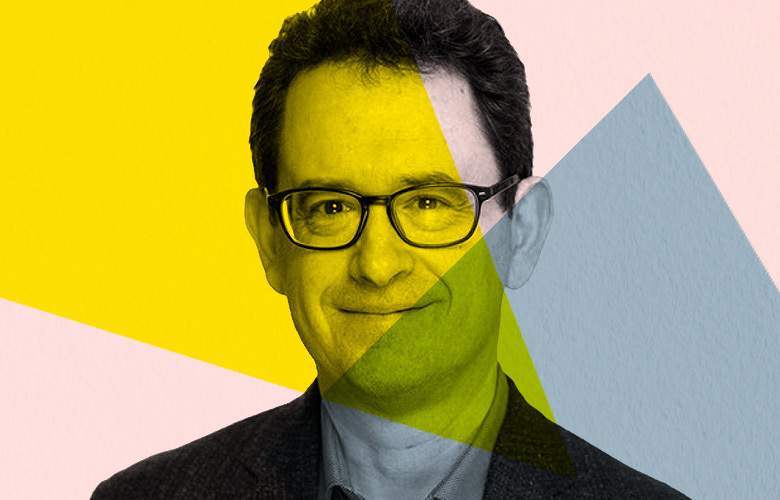 Currently responsible for low-latency strategies and research-infrastructure efforts, the 49-year-old adds, “It is natural to keep pushing forward” in research and development. Bitar, 53, joined Citadel Securities in March 2017 after three decades with high-tech companies like Cisco Systems, Juniper Networks, and, most recently, VMware, where he was senior vice president and general manager of the cloud platform business unit. 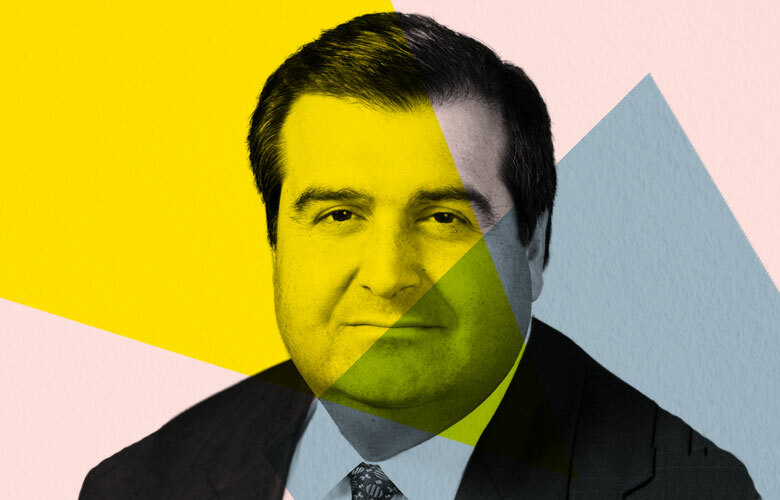 Bitar oversees all tech-related initiatives at Citadel Securities. A venture partner of investment firm AllegisCyber, Bitar says “having the best technology available today is table stakes” in the business of maintaining “stable, efficient, and transparent markets” with operational resilience, redundancy, and security. The CIO recalls that artificial intelligence was a hot topic in the 1980s, and the current resurgence centers on “the state of the art in AI, which for us is machine learning,” which will be essential in bringing computer power to bear on electronic market making. Until January, Kristian West was J.P. Morgan Asset Management’s global head of equity trading. He still is, but has added a new title to his remit: global head of equity data science, which speaks to how machine learning is taking hold. “The problem for us is to implement [investment] ideas as efficiently as possible,” says West, who joined JPMAM in 2008 as a European equity trading strategist. “A key theme is replacing art with science and to have a much more data-driven process.” On $1 trillion of global equities trading annually, the firm expects to save at least 1 basis point, equating to $100 million, from technology enhancements. In 2017’s fourth quarter, MarketAxess Holdings claimed a 17.6 percent share of the high-grade U.S. fixed-income market. That figure, up from 17.2 percent a year earlier, shows how far this one player has come in electronifying corporate bond trading, and how much more is left to automate. A 2017 Greenwich Associates study showed MarketAxess’s share of electronic high-grade and high-yield trading to be 86 percent, with none of its competitors in double digits. In what chief information officer Nick Themelis, 54, terms “a tough environment of low interest rates and volatility,” MarketAxess had a “solid year.” The Nasdaq-listed, New York–based company set revenue records for the ninth straight year, with revenue rising 7 percent year-over-year to $397 million. Total trading volume climbed 11 percent to $1.5 trillion. The Open Trading marketplace, a significant bond market innovation now in its seventh year, rang up $926 million in average daily volume, 34 percent above 2016. Attracting multiple sources of liquidity through so-called all-to-all protocols, Open Trading accounted for more than a third of U.S. high-yield volume, according to MarketAxess’s year-end review. Automating voice transactions is just the beginning “for a market driven by data and technology” and one ripe for machine learning applications, says Themelis, who has been CIO since 2005. “Data fuels growth in e-trading.” Last year MarketAxess rolled out Auto Execution, which automatically trades on client-set parameters; and Composite+, an algorithmic pricing tool that supports price discovery, transaction cost analysis, and Open Trading. Finally, the firm is piloting — and planning to launch this year — a reputedly first-of-its-kind, credit-centric execution management system. Now recognized as a leader in distributed-ledger technology and closely identified with its CEO Blythe Masters, a former JPMorgan Chase & Co. executive, Digital Asset Holdings didn’t even exist in the abstract a few years ago. Sunil Hirani and Don Wilson began batting some ideas around over a few months in 2014, Hirani recalls. Those conversations “about different blockchain or distributed-ledger concepts” led to the formation that year of Digital Asset. 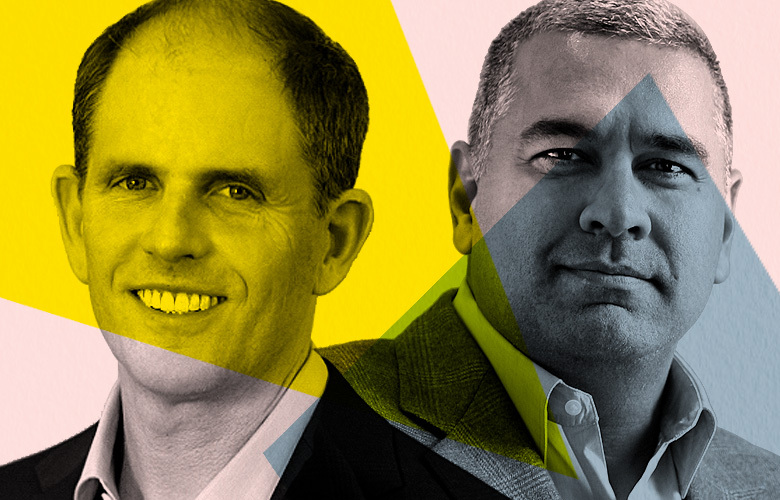 Hirani and Wilson took seats on the company’s board alongside the likes of Depository Trust & Clearing Corp. president and CEO Michael Bodson, fintech investor and retired SunGard Data Systems CEO Cristóbal Conde, and wealth management executive Sallie Krawcheck. 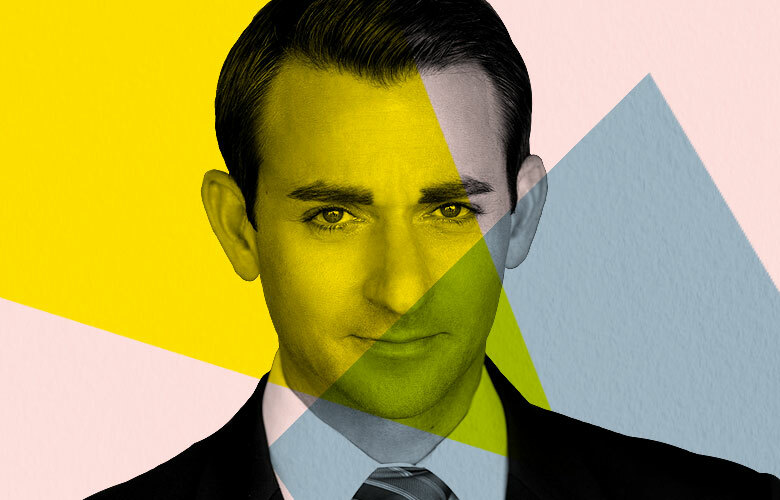 Wilson is CEO of DRW Holdings, a Chicago-based proprietary trading powerhouse that he founded in 1992, with affiliates in technology, real estate, venture investing, and cryptocurrency trading. “Openness to ideas” is a hallmark of the firm, Wilson says. Beginning in 2012, in trying to assess the importance of Bitcoin and blockchain, “we went down a few paths,” and DRW was among the first financial firms to trade crypto-assets. Fidelity Institutional, the arm of Fidelity Investments that provides custody, clearing, brokerage, and trading services to hedge funds and other outside clients, is bringing the power of cloud computing to its order management system. The new OMS, to be used by retail and institutional customers, is set to be deployed in the second half of 2018, according to Ronald DePoalo, Head of Fund and Brokerage Operations and Technology, Fidelity Investments. “It’s great to watch our people as they embrace these new technologies and drive solutions. It’s all about reimagining the future,” he says. Using an internal, or private, cloud, “we’ll be able to take advantage of capacity on demand” and the flexibility that comes with that. The 53-year-old came to Fidelity in 2008 after 22 years with Merrill Lynch & Co., where he was most recently CTO for global wealth management. Fidelity Institutional has more than 13,000 financial advisory firm clients, has $2.6 trillion in assets under administration, and includes Fidelity Institutional Asset Management and Fidelity Capital Markets. The unit is investing in its hub for asset managers to access multiple broker-dealers, called the Service Bureau. With it, managers can tailor trading strategies, monitor the execution quality, and consult with Fidelity to improve clients’ processes. “This ecosystem has been a tremendous growth area for us,” DePoalo says. In capital markets, Fidelity Prime Services’ pricing tool PB Optimize allows hedge funds to use and follow the performance of multiple prime brokers. “They see what they are paying for hard-to-borrow securities, for example,” DePoalo says. The innovation beat goes on at Tradeweb Markets, 20 years after it processed the first U.S. Treasury trades through its online multidealer marketplace. Tradeweb, which is majority-owned by Thomson Reuters, now handles more than 20 fixed-income and derivative asset classes for clients in more than 55 countries. Developments over the past year include launching an Approved Publication Arrangement service for posttrade reporting under the European Union’s revised Markets in Financial Instruments Directive, or MiFID II, rules; the first offshore e-trading link to Bond Connect for transactions between Hong Kong and mainland China; and Blast A2A, an all-to-all protocol for corporate bonds. The last came to market later than rival MarketAxess Holdings’ Open Trading product but has made inroads, according to Tradeweb president Billy Hult. Tradeweb users have options — all-to-all, so-called flexible RFQs (requests for quotes), and voice trading — and its high-grade and high-yield credit volumes are climbing. U.S. high-grade totaled $79.7 billion in 2017’s fourth quarter, and average daily volume was 17 percent higher than in the previous three months. High-yield was $12.5 billion, with average daily volume up 37 percent. Tradeweb said in January that its institutional exchange-traded-funds platform had moved $660 billion since opening in October 2012. IEX Group’s Investors Exchange, which went live in August 2016 after operating as an alternative trading system since 2013, made its mark — and a statement about market fairness — with a speed bump. The 350-microsecond order delay was designed to deter the high-frequency-trading practice known as latency arbitrage. “Our mission is to build fairer markets,” says chief technology officer Robert Park. 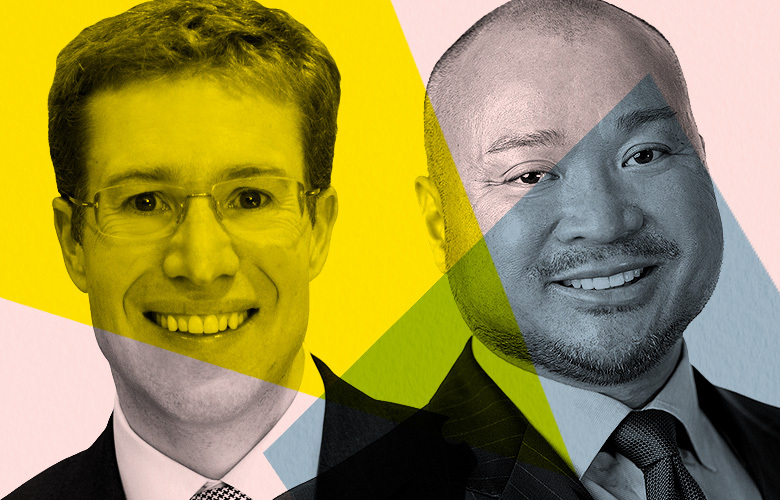 He, CEO Brad Katsuyama, and their co-founders from RBC Capital Markets decided the best route to investor protection was to ensure a “level playing field” for asset managers. Investors Exchange consistently accounts for more than 2 percent of exchange-market transactions — a statistic updated daily on the IEX website, in keeping with the New York–based company’s transparency principles. 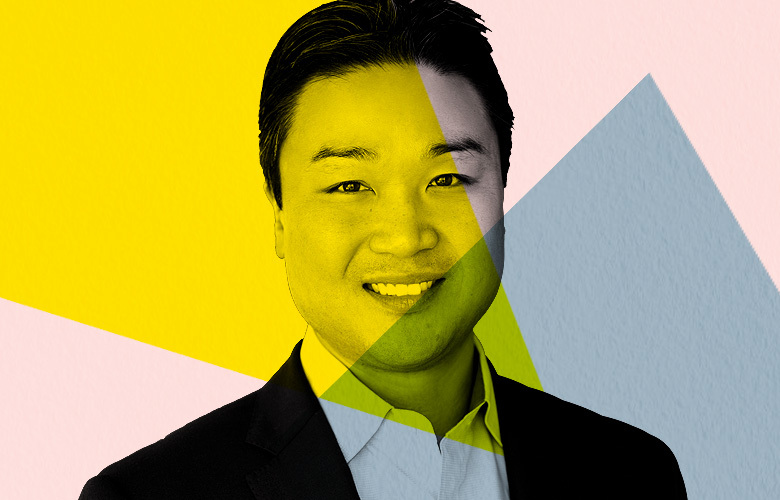 “We are continually innovating with the goal of protecting the integrity of our market,” Park, 39, says. “Machine learning is embedded in the logic underpinning our exchange processing — directly in the trading process itself.” IEX Signal, for example, is a predictive model that identifies moments of price instability and protects investors from trading in those intervals. Park points out that on the Nasdaq and the New York Stock Exchange, the majority of traded volume typically occurs within 2 milliseconds of a price change. For IEX, the comparable figure is 12 percent. “We have an open, transparent philosophy,” Park says. IEX makes its enterprise application programming interface (API) available for free, and offers apps such as TOPS for near-real-time quote and trading data, HIST with trailing 12-month output of IEX data products, and DEEP for near-real-time depth-of-book quotes and trading data. In a June 2017 reorganization, Hong Kong Exchanges and Clearing chief technology officer Richard Leung lost a co-CTO and gained a second boss. His co-CTO, Bill Chow, retired after 24 years with the organization. Leung continues to report to HKEX chief executive officer Charles Li, but he took on the additional title of deputy chief information officer and in that role reports to CIO Trevor Spanner, who is also group risk officer. The CIO positions are new, as is the IT and Platform Development division under Spanner. It’s all in the interest of managing major projects set in motion by CEO Li’s aggressive growth strategy — notably the Stock Connect and Bond Connect links to mainland China market centers, which required significant infrastructure buildouts over the last four years — and preparing for more. 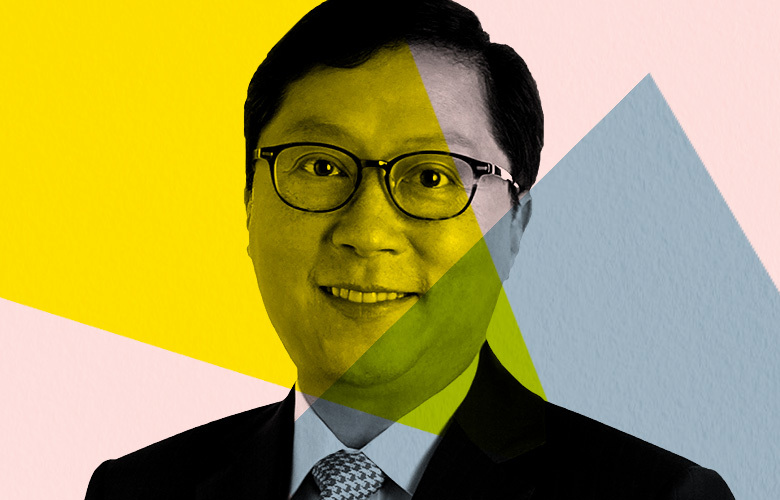 “One of our goals for this year is completing the major market infrastructure investment program we announced in 2012 with the rollout of a new securities trading system,” Leung, 54, tells Institutional Investor. The last piece, the Orion Trading Platform for the cash market, or OTP-C, was launched in February, with initial order-processing capacity of 60,000 transactions per second, double that of the previous platform. “We will also upgrade our derivatives trading and clearing systems toward the end of this year, and we have kicked off our next-generation posttrade platform project with target delivery of its first phase in 2019,” says Leung, who joined HKEX in 2011 after serving as CTO of exchange operator Chi-X Global for three years and of data-management technology company Cicada Corp. from 1998 to 2008 (when Cicada was acquired by Chi-X Global). 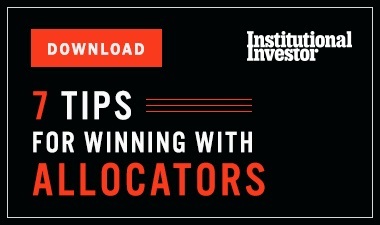 At the end of 2016, London-based markets operator ICAP transferred its interdealer voice brokering business to Tullett Prebon (now TP ICAP) and recast itself as NEX Group, which founder and CEO Michael Spencer declared a fintech company. 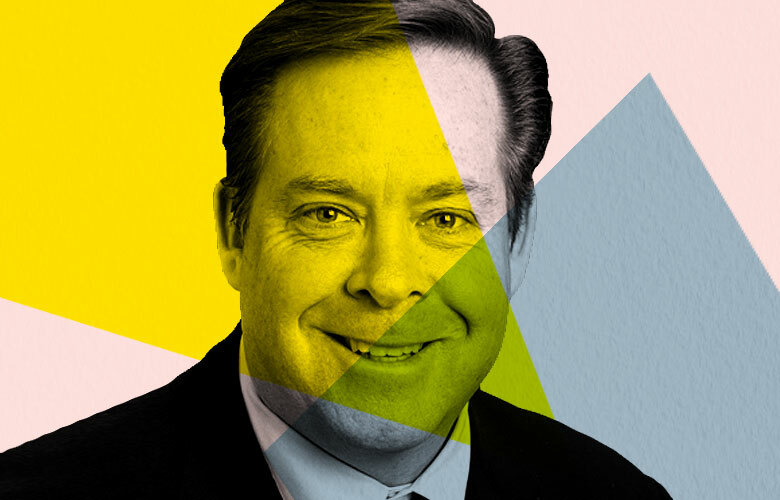 Seth Johnson, whose 25 years with the firm were spent mostly in the voice business, became CEO of the electronic trading division, NEX Markets. He says NEX Group — with 1,900 total employees, 700 of them with NEX Markets — is more streamlined than its predecessor was, and “fewer silos” isolate his organization from the other principal division, NEX Optimisation, which focuses on posttrade services under the leadership of CEO Kenneth Pigaga. Collaboration will be key to the group’s delivering on its mission of servicing and innovating along the full transaction cycle. 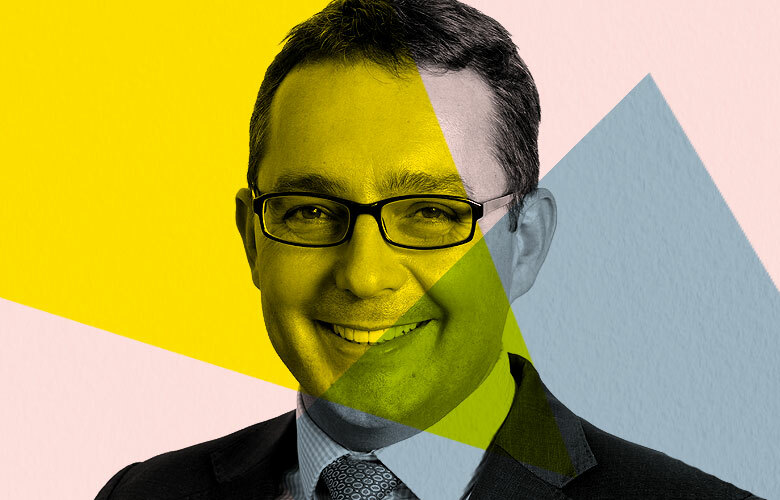 A case in point is Pivot, launched in October, which brings to bear NEX Markets’ cash management service (called NEX Treasury) and ENSO Core, a NEX Optimisation–owned counterparty risk and portfolio financing platform for hedge funds. Pivot lets users make payments for margin management and invest excess cash in money market funds. The fixed-income and foreign-exchange execution businesses “are all about speed and performance,” Johnson says. On the institutional side, data and analytics are in demand. In September the firm introduced NEX Quant Analytics for trading metrics and insights. A long period of low volatility was hard on trading operations like NEX Markets – it reported a 9 percent decline in revenue, year-over-year, for the third fiscal quarter, ending December 31 – but in February its U.S. Treasury, U.S. repurchase agreement, European repo, and spot foreign exchange average daily volumes were each up from a year earlier by 25 percent or more. “I am more optimistic than I have been in a long time as I look out 24 to 36 months,” Johnson says. Broadway Technology doesn’t shy away from a bit of hype in its serious focus on fixed-income and foreign-exchange trading. Moeller and his co-founder, chief technology officer Joshua Walsky, have brought some freewheeling Silicon Valley swagger to their New York financial district headquarters, but they are dead serious and disciplined in developing and delivering systems that handle trillions of dollars of fixed-income and foreign-exchange trading for some of the world’s biggest financial institutions. 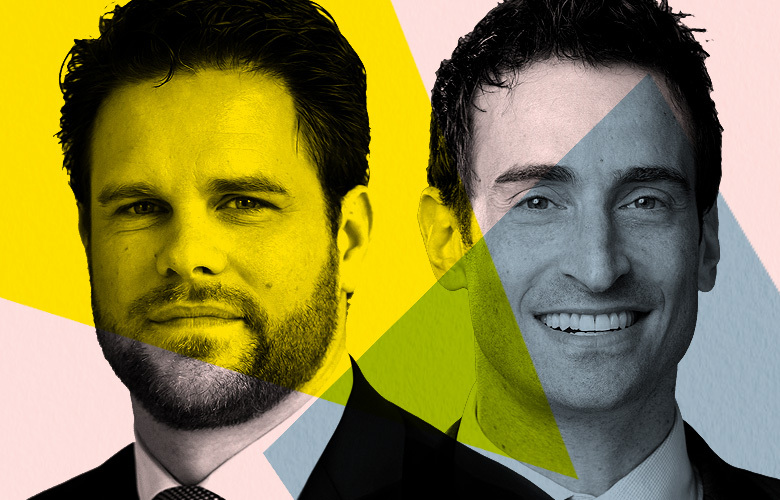 Moeller, 42, and Walsky, 41, say business is robust in both foreign exchange and fixed income. The company’s fixed-income-related business got a boost in October with the announcement that Barclays and two other tier-one banks had signed on as clients. “The industry leaders are not looking to build everything themselves anymore,” Walsky says, adding that they are turning to Broadway for the flexibility to configure their own, customized set of applications on a proven, high-performance platform. Another read on the statistics: “Our share of actual liquidity — that which is available for trade at the European best bid and offer — is 15 percent,” which, Haynes says, bests several competitors and indicates the direction in which the overall percentage is headed. Haynes, formerly CEO of Chi-X Europe, has stressed the need for patience, and slowly but surely, the results are validating his subscription pricing strategy, low cost structure, and prohibition of “aggressive, non-client, proprietary trading.” Meanwhile, the Aquis Technologies unit is making progress licensing the Aquis multi-asset-class matching engine and exchange system and Aquis Market Surveillance “regtech” software for compliance, trade supervision, and abuse detection. The exchange technology went live last year at A2X Markets in South Africa, and UBS’s multilateral trading facility became an AMS customer in January. Early this year, Aquis Technologies launched Aquis Market Gateway for systematic internalization, or bilateral trading with counterparties, to conform with MiFID II rules that disallow multilateral broker-crossing networks. As of mid-January, Aquis had agreements with ten firms to use the gateway. Innovation with a high-tech gloss isn’t confined to the front office. Quantitative hedge fund firm D.E. Shaw Group demonstrated that with its 2015 spinoff of posttrade servicer Arcesium. Headed by former D.E. 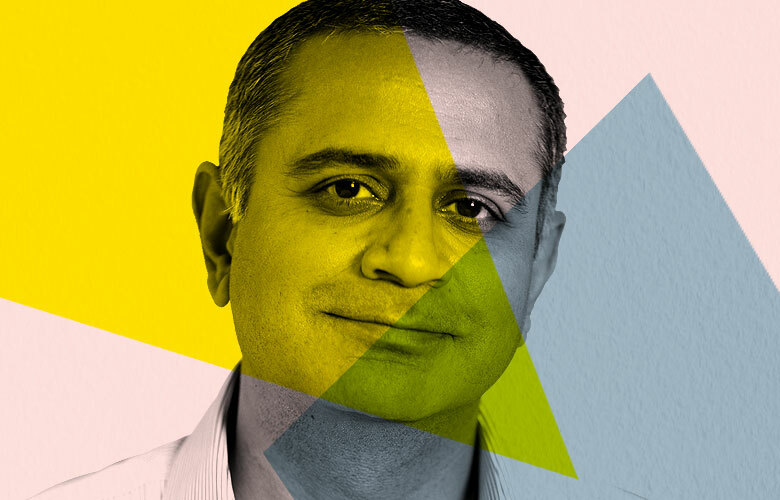 Shaw head of information technology and software development Gaurav Suri, Arcesium offers such services as prime brokerage margin replication, internal books and records, profit-and-loss and portfolio data warehousing, SWIFT-integrated wire platforms, and fund-administration reconcilers. They are customized and delivered via the cloud, thereby simplifying hedge fund managers’ financial operations while they maintain control over posttrade functions. “Clients have full access to real-time information, from any location, and complete control over a highly sophisticated software solution, while benefiting from the expertise of our professional services staff, working in unison with clients as a virtual extension of their in-house teams,” according to the company. As of early February, Arcesium supported $65 billion in hedge fund assets and had more than 700 employees in New York and Hyderabad, India, compared with 650 a year earlier. Blackstone Group agreed in late January to acquire 55 percent of Thomson Reuters’ financial and risk division. The deal values the $6.1 billion-in-revenue division at $20 billion, and is set to close in the second half of 2018. 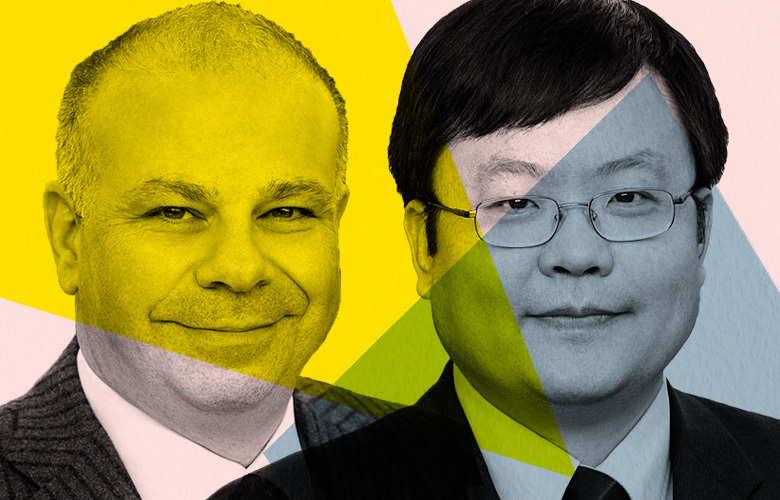 By then, Michael Chin and Neill Penney will have been working together for two years as co-heads of trading, enhancing Thomson Reuters’ Eikon financial analysis platform and helping clients navigate a rapidly evolving regulatory landscape amid economic pressures. The past year was transformational, not least because of the European Union’s revised Markets in Financial Instruments Directive, or MiFID II, for which Thomson Reuters geared up with a tailored multilateral trading facility and data services, all ready by the regulation’s January 3 effective date. 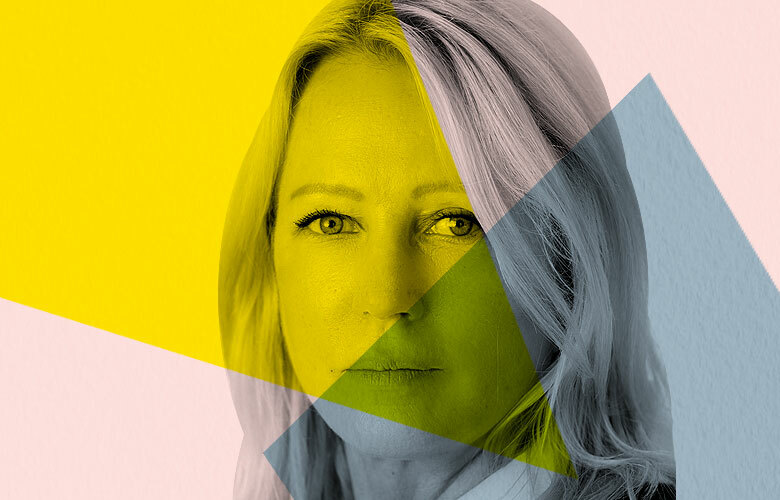 Penney, 47, observes that new regulatory and compliance burdens — including the Dodd-Frank Act, MiFID II, and the 2017 foreign-exchange market code of conduct — tended to “repress innovation. With that weight behind us,” he says, “smarter tools and analytics” are coming to the fore, promising a “faster, smarter, safer” trading environment. In July, Thomson Reuters announced the first-phase integration of its REDI execution management system, acquired six months earlier from a joint venture that included Goldman Sachs Group. The result, says Chin, 51, is “a superior end-to-end trading platform for the buy side that is open, broker-neutral, and cross-asset.” The ultimate aim of all the data and tools, including machine learning as a productivity and decision-support aid, is “to provide more insight to traders to make the best trading decisions,” Chin explains. The dual role assigned to AQR Capital Management managing director Stephen Mock — the head of trading technology and enterprise architecture — speaks to the importance of the trading function at AQR and its close integration with business and investment processes. 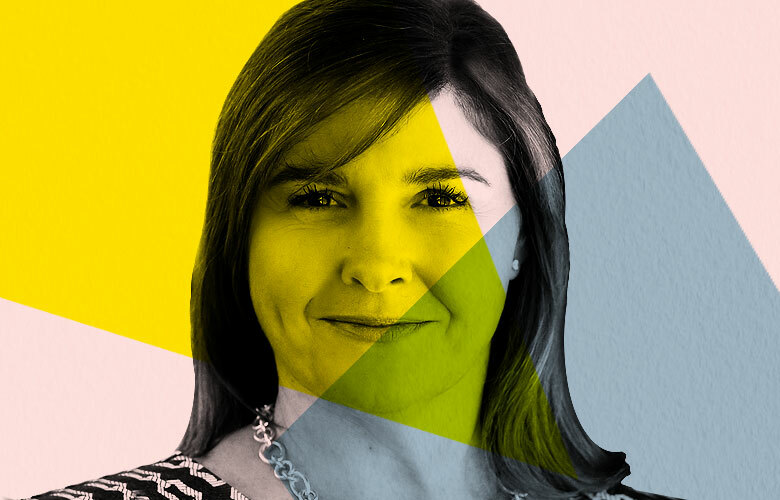 As head of trading technology, Mock is responsible for order management, execution, and analytics systems for AQR, which manages $224 billion in traditional and alternative investment vehicles and has an immense appetite for data. As head of enterprise architecture — reporting to chief technology officer Neal Pawar — Mock chairs the technology architecture group, a committee of about 40 people that leads initiatives in the engineering division. 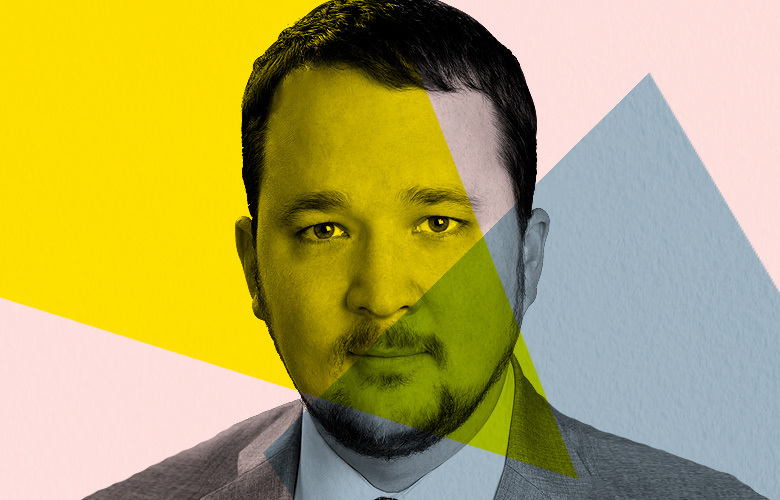 “AQR is a very data-driven firm with a heavy focus on analytics,” Mock, 38, points out. Data sets are big and getting bigger, and technology supports what he describes as a “feedback loop” connecting research, portfolio-implementation decisions, and trading. “Information and knowledge sharing on a real-time basis” informs the investment process. In deciding whether to build systems or buy from vendors, “we focus on the areas of highest impact for AQR,” says Mock. He arrived at AQR from Macquarie Capital in 2012, and then — for the fifth time in his career — built an algorithmic trading platform. “We own our data but at times will integrate others’ tools. We want to focus on pure alpha,” he says. When AQR looked to replace a home-grown order management system, no off-the-shelf product met 100 percent of its needs. The firm chose one that delivered 50 to 70 percent and built the rest — “a great mix of our knowledge and optimization of products available in the marketplace,” Mock says. Ever-present concerns about system crashes and cyber threats keep Byrne and his more than 200 employees around the world busy in pursuit of what the company terms “frictionless IT performance.” Their stock in trade is network analytics — security, operational, and business intelligence — derived from a comprehensive picture of market activity, lately with an assist from machine learning. 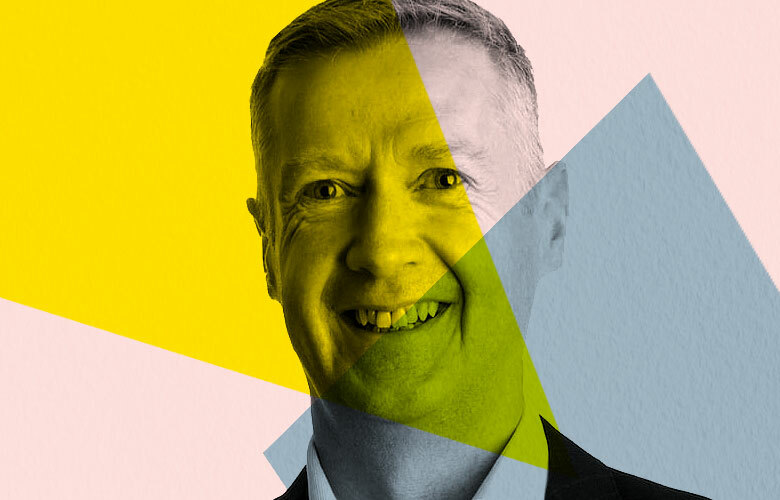 “The best machine learning algorithms have access to the best data,” says Byrne, 52, who became CEO in 2002 after two years as non-executive chair of Dublin-based Corvil. The company aggregates “machine-time intelligence” from “all the big trading environments,” the CEO says. That’s key to applying and improving machine learning, adds Byrne, who before joining Corvil held senior positions with broadband service provider FirstMark Communications; Berkeley Networks, a Silicon Valley company that he co-founded in 1996 and was sold to Fore Systems in 1998; and Bay Networks. In May last year, Corvil rolled out Cara, a machine-learning-driven “virtual security expert” to assess the security of, and detect cyberattacks on, trading systems. Also in 2017, the company partnered with LiveAction for enterprise network management, data visualization, and forensics; and with endpoint security company Endgame. Algomi takes a different approach to improving bond-market liquidity than rival electronic-trading venues like MarketAxess Holdings and Tradeweb Markets — which has taken some explaining. But the strategic partnerships and equity investments the company announced last year confirm Algomi is getting its message across. 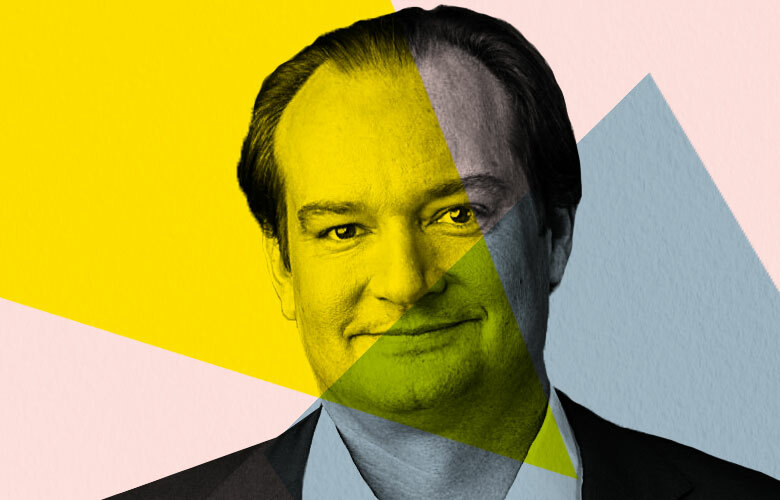 “We bring buyers and sellers together,” says Stu Taylor, 45, who co-founded Algomi in London in 2012 and stepped down as chief executive officer in March — though he remains a major shareholder. (Executive chair Glen Moore and co-founder and chief technology officer Usman Khan are now running the company.) “We are not looking to change the market structure,” says Taylor, who earlier in his career worked for Merrill Lynch and UBS Group. “We are just trying to join the dots better” by pointing market participants to data that can facilitate trading on the channels of their choice. By 2016 the world’s top banks and hundreds of buy-side firms were connected, and in March 2017 exchange operator Euronext made a $10 million minority investment, deepening a joint-venture relationship with Algomi. Other investments last year came from AllianceBernstein and S&P Global. In October, Algomi announced a partnership with Bank of New York Mellon Corp. and HSBC Holdings to bolster liquidity in the fixed-income market. Built from the start with home-grown technology and sensitivity to investment-firm clients’ struggles with data management and workflows, S3 Partners takes a supply-chain view of the financial world. Robert Sloan, who founded the firm 15 years ago after serving as Credit Suisse’s global head of prime services, sees parallels between oil or electricity distribution and the “financial power grid,” as described in a 2016 S3-Alternative Investment Management Association paper, which Sloan says will soon be updated. S3’s software-as-a-service platform for product research and counterparty intelligence, on which institutional clients run more than $2 trillion of “assets under analytics,” follows grid precepts: “It is rare to find something that is truly vertically integrated,” S3’s 54-year-old managing partner explains. “We are unique in that way.” The lesson from “adapting the energy industry model to fintech,” he adds, is that “to be successful, you have to own all parts of the supply chain,” for example, from sourcing of data to distribution, filtering, and analysis. The firm then known as Dash Financial had a clean slate, technologically speaking, when it started out in 2011 as a neutral agency brokerage. Co-founded by CEO Peter Maragos and chief creative officer David Karat, Dash developed high-performance execution and analytics systems attuned to the complexities of institutional options trading, notably the Dash360 transparency dashboard with advanced data visualization capabilities. By early 2017, 6.5 percent of daily U.S. options volume was flowing through Dash, alongside a growing equities execution business. Then came a game changer: On March 1, 2017, New York–based Dash merged with LiquidPoint, an options trading and technology business that had been part of Convergex. Dash’s options market share doubled overnight and has since risen another point, to 14 percent, says Maragos. There was little business overlap between Dash and LiquidPoint. The latter, whose systems route an additional 20 percent of options volume, brought 90 people into what has been rebranded as Dash Financial Technologies, bringing the head count to 135. 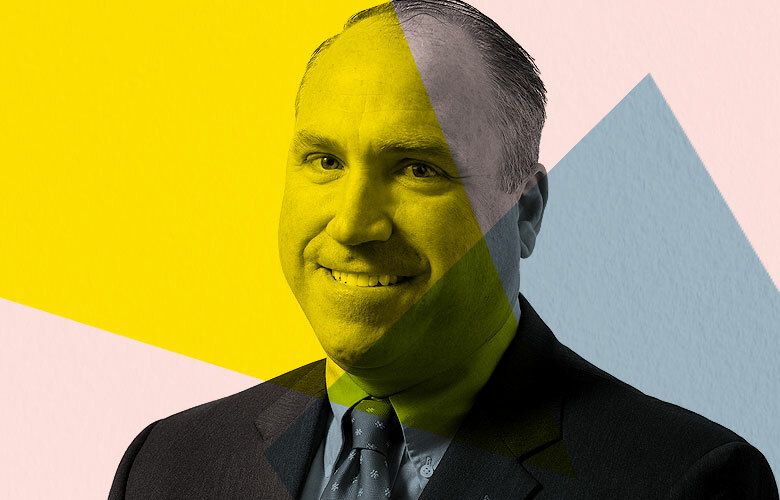 Maragos, 41, says the firm is constantly working to improve its platform and capitalize on a broader product set that includes LiquidPoint floor-broker products and regulatory compliance technologies. “This is definitely a scale business,” he adds. He says Dash is rolling out a new alternative trading system, will soon enhance its smart-order routing with machine learning technology that came out of the firm’s research and development, and is exploring augmented reality to bring new dimensions to trader user interfaces. According to a March 7 announcement, co-founders Maragos and Karat partnered with private equity firm Flexpoint Ford to acquire Dash from majority owner GTCR. Thesys Group has been through a few incarnations since it was formed in 1999 as Tradeworx, an innovator in high-frequency trading. Thesys put some finishing touches on its evolution in January and now describes its focus as market-structure technology. Thesys Group, based in New York, is also the parent of Thesys CAT, which operates at arm’s length, under a separate executive team led by president Andre Frank, to avoid any conflicts as it builds the massive securities-market database known as the Consolidated Audit Trail. Thesys was awarded the CAT plan processor contract last year by a consortium of self-regulatory organizations. To Beller, 53, the CAT project underscores Thesys’s technical proficiency and its belief in market transparency and fairness. He envisions an “open stack” approach to capital-market-system design to overcome the drawbacks of disjointed front, middle, and back offices. 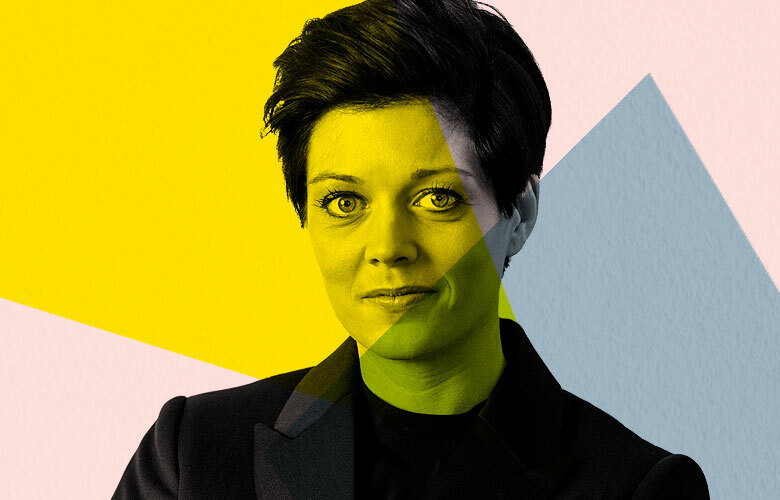 Cinnober Financial Technology chief executive officer Veronica Augustsson is steering the company through growing pains. The Stockholm-based exchange and clearing system business produced SEK 263 million ($31.5 million) of revenue in the first nine months of 2017, up 13 percent from the same period the year before. Employee headcount, meanwhile, increased 21 percent to 345 at the end of September. Still, Cinnober had an operating loss of SEK 49.9 million, compared with a SEK 408,000 profit in the first nine months of 2016. “Long-term growth efforts” hurt earnings, Augustsson said in the results statement. The company has made significant strategic moves that could ultimately justify optimistic remarks she made about strengthening its position in both the short and long term. It is a relatively small company with globally prominent customers including the Australian Securities Exchange, Brazil’s B3, Japan Exchange Group, and the London Metal Exchange. The 39-year-old Augustsson, CEO since 2012, said that core activities, revolving around the TRADExpress RealTime Clearing system, posted earnings before interest, taxes, depreciation, and amortization of SEK 18 million last year through September. New areas of business depressed the bottom line, including trade reporting at its Simplitium unit. 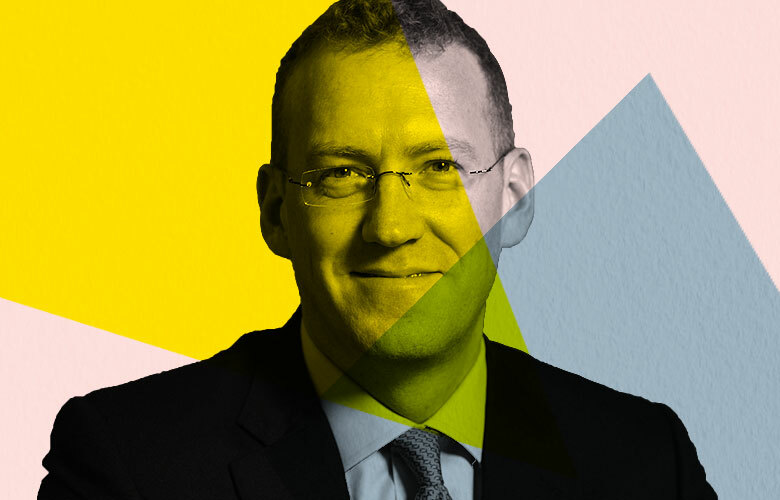 Simplitium’s revenue was expected to pick up, though, on the back of the European Union’s revised Markets in Financial Instruments Directive, or MiFID II, which took effect in January. “We saw a substantial inflow of small- to medium-sized investment firms opting for TRADEcho towards the end of the year,” Augustsson said, referring to the trade-transparency product that Simplitium offers jointly with London Stock Exchange Group, and that had 548 customers as of early January. For many entrepreneurs, initial public offerings don’t have the allure they once did. R. Cromwell Coulson believes it comes down to hassle and expense. Coulson’s answer: OTC Markets Group, which operates trading venues for issuers seeking a lighter-weight approach to raising capital and assists companies working their way up to a full-fledged IPO. “We should limit regulatory barriers to innovation and rely on the market to price risk,” he says. More than 10,000 securities trade on OTC Markets Group’s three platforms. Nearly 9,000 are on OTC Pink, an “open market” that includes penny stocks, with minimal qualification and disclosure standards. The rest of the listings are on OTCQB, for startups that meet certain audit and reporting standards, and OTCQX, where company information and market data are readily available to investors, and compliance and governance standards are affirmed. Software companies often look to India or Eastern Europe for coding. But FlexTrade Systems is willing to bear the higher cost of employing developers at its offices in London and Singapore, as well as its Great Neck, New York, headquarters. “It is important for us to be close to the capital markets and to our customers,” says Vijay Kedia, FlexTrade’s founder, president, and chief executive officer. The provider of multi-asset-class order and execution management systems and transaction cost analysis has grown since 1996 to 450 employees, serving more than 200 clients in 45 countries. 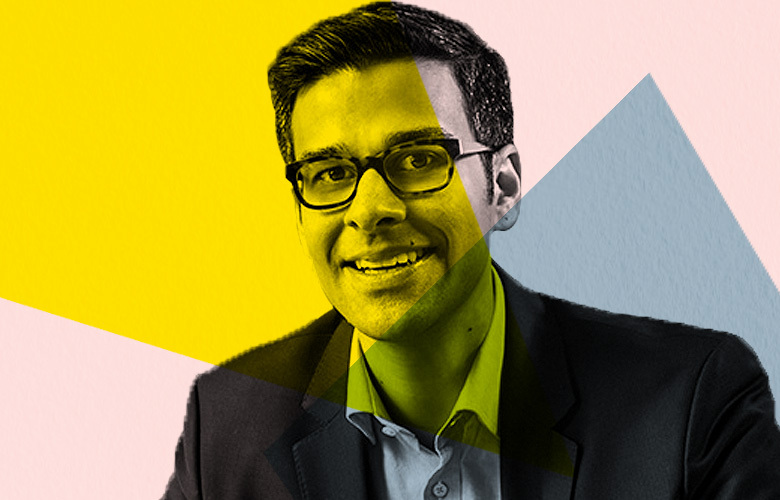 Drawing on his experience working on a trading desk at Bear Stearns & Co. and his exposure to real-time scientific computing advances at magnetic-resonance-imaging pioneer Fonar Corp., Kedia has built a broker-neutral platform for algorithmic trading. In the early 1990s, programmatic trading was offered by only a couple of Wall Street shops, and there was little, if any, talk of what came to be known as algorithmic execution. Kedia was already thinking in those terms, though. An algorithm is “just one piece of the workflow,” the 55-year-old points out, as fees, market conditions, and other variables must be taken into account to complete a trade. If orders have to be fragmented among multiple brokers, it makes sense to “be able to look at them all on one platform,” he says. Kedia says that by taking a “generic” approach to system design, initially for equities trading, FlexTrade was able to move into fixed income, currencies, and listed derivatives, and to support growing demand for cross-asset capabilities. Before its acquisition by FactSet Research Systems, Portware was an outlier in 2012 when it introduced artificial intelligence into its execution management system. What made that early move possible was Portware’s purchase of assets associated with defunct block-trading venture Pipeline Trading Systems. They came with a research team led by Henri Waelbroeck, a Belgium-born physics Ph.D., whose Alpha Pro predictive analytics and Algorithm Switching Engine gave Portware and its institutional customers a fast start in what has become, in Waelbroeck’s words, a “race for intelligence” in financial trading. Waelbroeck, 54, who was director of research at Portware under former CEO Alfred Eskandar (No. 30 last year), is now New York–based FactSet’s vice president and director of research for portfolio management and trading solutions. FactSet bought Portware in 2015. The company has described its AI variously as a virtual trading assistant, bionic trader, thinking EMS, and Portware brain — a major leap in decision support across multiple asset classes. “The alpha profiling methodology is rules-based, real-time, using machine learning to optimize how fast to execute,” Waelbroeck explains in a phone interview. “I grew up in the modern electronic trading paradigm,” says Donald Ross III. For the 35-year-old CEO of PDQ Enterprises, that upbringing began 17 years ago at high-frequency-trading trailblazer Getco, where his father and predecessor at the helm of PDQ, D. Keith Ross Jr., was president. Today the younger Ross is trying to teach the trading world a much older history lesson about market structure. Vela has transformed its business through acquisitions to meet the demands of major financial firms. Within a few frenzied weeks last July, Vela closed two purchases: OptionsCity Software, a Chicago-based specialist in futures and options trading systems and analytics, and Object Trading, an Australia-registered, global provider of a direct-market-access platform. As a result, Vela is “a very different company,” says chief executive officer Jennifer Nayar, 50. The New York–based company’s high-performance trading, data-handling, and analytics capabilities “are truly multi-asset and truly global,” positioning Vela to meet the demands of major financial institutions that increasingly trade along those dimensions, she says. Vela can “leverage a first-mover advantage and respond promptly” to their needs, Nayar says, citing, for example, when customers wanted to be ready for Bitcoin futures trading in December on the Cboe Futures Exchange and Chicago Mercantile Exchange. Bitcoin futures are one of 48 new markets, or asset classes, that Vela delivered for clients last year, according to Nayar. “A lot of what we do is under tight deadlines, whether it’s trading in a new market or complying with new regulations,” she says. It was “three and a half years from PowerPoint to the launch” last April 25 of OpenDoor Securities’ trading platform for off-the-run U.S. Treasuries and Treasury Inflation-Protected Securities (TIPS), Susan Estes says. The accomplishment was as significant as the time that went into it. 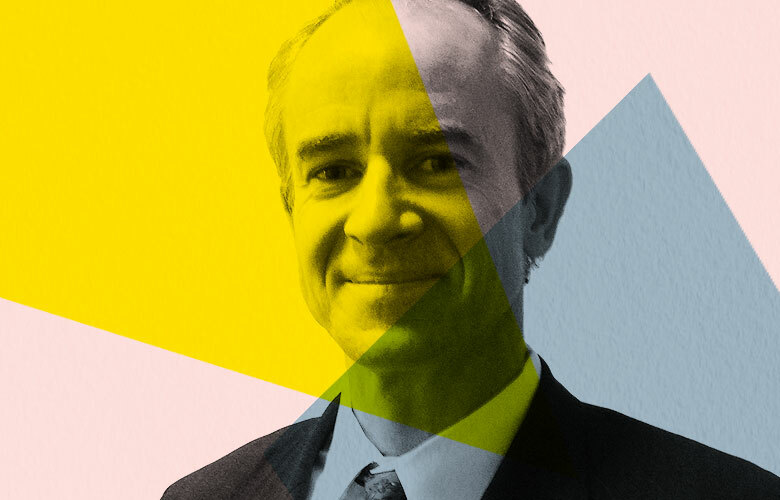 During three decades working in fixed-income markets, including senior roles at Morgan Stanley and Deutsche Bank, OpenDoor co-founder, president, and CEO Estes identified a “pain point”: the imbalance in liquidity between newly issued on-the-run Treasuries, which get most of the market’s attention and trade efficiently and electronically, and the more seasoned but less liquid off-the-runs, which account for 98 percent of the $14 trillion-plus supply of Treasury securities. 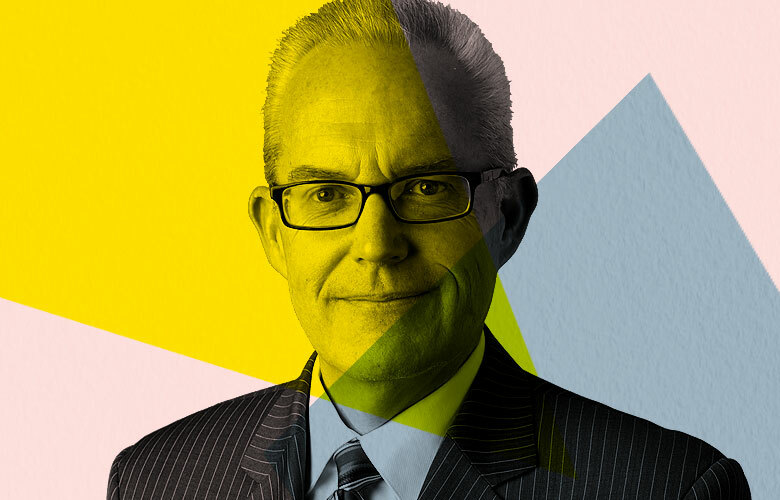 “Improving markets is my driving motivation,” says Estes, 58, who is based in Jersey City, New Jersey, and oversees a team of 30, including consultants. By late January, OpenDoor had facilitated more than $275 billion worth of orders. Eight dealers were trading on the off-the-run platform for their own accounts, along with financial institutions with $7.3 trillion in combined assets under management, an 84 percent increase since the launch. Validation has come early and often from private investors: Since raising $2 million in a December 2015 seed financing, OpenDoor has completed three $10 million series A rounds. With the most recent, announced on January 29, OpenDoor said it intended to hire more sales and marketing executives and make major platform enhancements. In December, Hicham Hajhamou, head of rates and foreign exchange trading at AQR Capital Management, joined OpenDoor as a managing director, to take charge of the TIPS business. Large blocks of shares — institutional orders that are not well suited to exchange trading — can be directed to a number of competing liquidity pools. Luminex Trading & Analytics differentiates itself with a low-cost-utility approach. “Independent and unconflicted” is how Jonathan Clark describes the alternative trading system, which has 185 subscribers. “There are no pockets being lined,” he says in a phone interview. Boston-based Luminex says it was “created by the buy side for the buy side.” Its owners are Fidelity Investments — Luminex’s technology provider — and eight other leading investment managers: Bank of New York Mellon Corp., BlackRock, Capital Group, Invesco Advisers, J.P. Morgan Asset Management, MFS Investment Management, State Street Global Advisors, and T. Rowe Price. Fees are kept close to break-even, and excess cash flow is reinvested in the business. “Clients’ desire for us to be successful” helps fuel Luminex’s growth, says Clark, 49, who has been Luminex’s CEO since August 2015. With average order fills of 34,000 shares, according to its website, Luminex had a record month in February, and it consistently ranks at or near the top in average block-trade size compared to other venues tracked by the Financial Industry Regulatory Authority. Clark — who was a member of the quantitative team at Merrill Lynch Investment Managers when the firm was bought by BlackRock in 2006 — says Luminex introduced a new conditional order type in January, and is working on a new user interface. The securities business owned by ¥944 billion-in-revenue ($8.9 billion) e-commerce company Rakuten, led by Yuji Kusunoki, is breaking out in pan-Asia-Pacific directions. Rakuten Securities’ president since 2006, Kusunoki oversaw the acquisition of online foreign-exchange brokerage FXCM’s Hong Kong and Japan platforms in 2015. The following year Rakuten bought another forex company, FXAsia, now Rakuten Securities Australia; and in 2017 it formed Rakuten Trade, a joint venture with Kenanga Investment Bank in Malaysia, to launch that country’s first completely online equities firm. Kusunoki says he is eyeing further expansion, enabled by proven technology and a repeatable formula. The Tokyo-based brokerage was established in the first wave of online trading, in 1999, as DLJdirect SFG Securities. Kusunoki, a University of Chicago Booth School of Business MBA and former A.T. Kearney consultant, joined the DLJdirect startup in 1999. Rakuten acquired it in 2003, rebranding it as Rakuten Securities in 2004. 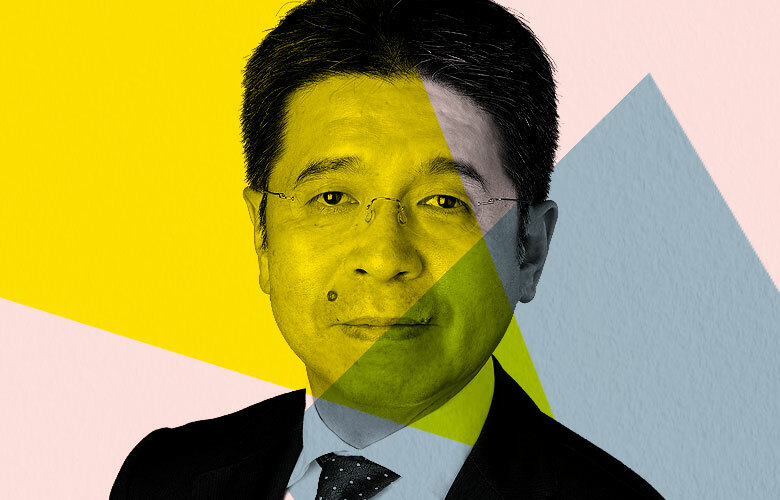 Kusunoki is one of the parent company’s managing executive officers, a status he shares with counterparts in charge of Rakuten’s banking, cards and payments, and insurance businesses. “We listen closely to the changing needs of our customers and are committed to developing innovative services and low-cost online and mobile trading technologies that will make online broking attractive to young and tech-savvy investors,” Kusunoki tells Institutional Investor. Chief Executive Officer, Apex Clearing Corp. While most financial industry executives were keeping a safe, wait-and-see distance from the Bitcoin bubble, William Capuzzi was agonizing over it. 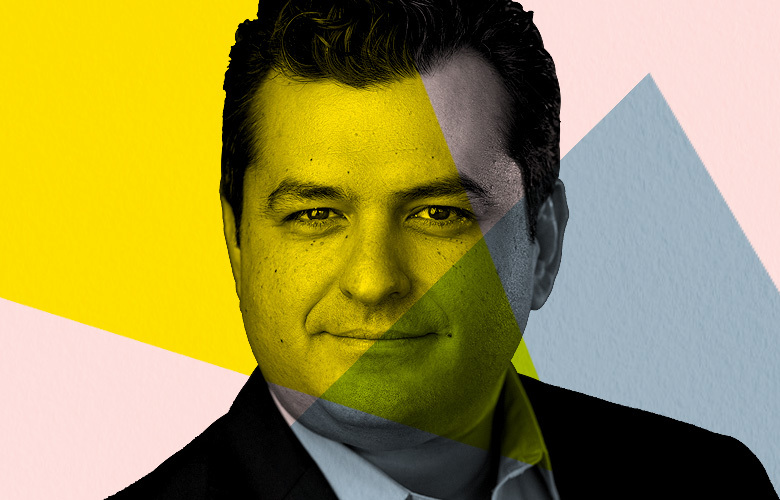 As CEO of Apex Clearing Corp., Capuzzi has a view into the habits and attitudes of several million millennials who use digital, or robo, investing platforms like Betterment, Robinhood, and Stash, which are Apex’s marquee customers. “There is so much demand, it is hard to ignore,” the 46-year-old says of the cryptocurrency craze. At the same time, it is an “unregulated Wild West” that is fraught with security risks and lacks know-your-customer and anti-money-laundering safeguards. “Our first mission is to protect client assets and provide services to law-abiding people,” Capuzzi says, adding that he expects stepped-up regulatory scrutiny to bring some order to cryptocurrency trading and perhaps a better sense of how to safely meet the demand. Formed in 2012 and based in Dallas, which was the headquarters of predecessor company Penson Worldwide, Apex handles account opening, asset transfers, real-time risk management, portfolio construction, rebalancing, data aggregation and reporting, and back-office and account management — aiming for what Capuzzi terms a “seamless, pleasant client experience.” Robo providers thus can focus on the business-to-consumer, or B2C, aspects of the relationship, explains Capuzzi, who before becoming CEO in 2015 was chief of staff of agency brokerage Convergex Group. A growing portion of Apex’s 200-plus customers are incumbent firms establishing digital platforms, and as of January more than 400,000 accounts per month were being opened on the Apex system. As far as automated trading and electronification of markets have come, they have not — and probably never will — completely abolish voice-directed transactions and the communications equipment they require. The dominant equipment supplier for decades, serving all facets of the securities industry and capital markets, has been IPC Systems. But it’s not just hardware anymore. Over the past four years, the $550 million-in-revenue company has “converted to a voice software infrastructure,” says Neil Barua, chief executive officer from August 2014 until April 16, 2018, when Robert Santella, former president of the global trading group of Fidelity National Information Systems (FIS), took his place. Voice trading records are digitized for compliance and monitoring purposes, and, taken as a whole, the accumulated metadata holds enormous analytical potential, Barua, 40, says. Barua oversaw a three-year, $20 million research-and-development effort for IPC that resulted in the June 2017 rollout of Unigy 360, a software-as-a-service platform accessible anytime on any device. “We’ve gone from a proprietary to an open ecosystem for customers and partners,” he says. With a network reaching more than 200,000 users at 6,000 customer locations globally, IPC has more than 1,200 employees, up from 900 when Barua came aboard. He says the acquisitions of ASPone and Etrali Trading Solutions in 2015 and 2016, respectively, boosted IPC’s Asia Pacific and European presence, and Etrali’s compliance capabilities filled a critical gap for the company.